How to understand complex inequalities and power changes in diverse societies? Intersectionality is the answer. Michael Moore predicted Donald Trump‘s triumph already in the summer in a five point list. One of the reasons, he argued, is ‘The Last Stand of the Angry White Men.’ Imagine how the world looks from his point of view, Moore writes. A woman presidential candidate who advocates minority rights, the increase of vocal black women, like Beyoncé. In that mind the idea of woman bossing them around after eight years of black presidency is unbearable. Other than the majority of analysts and opinion makers Moore looked at the electorate from an intersectional perspective. Being attentive to intersections between gender, race, social class and geographical location his interpretation of polls was right. If we only look at gender we see indeed that Trump received more votes from men and that Clinton received more votes from women. An intersectional analysis of the US election results shows us a different picture. Christina Bejarano, of the University of Kansas, provides us with the numbers in her recent blogpost. Trump received most support from white men, 62 percent. The majority of these men have no college degree and have strong evangelical convictions. But Trump won also among white women, 53 percent. Despite the overt misogyny and sexism that dominated the campaign and despite some Republican women who openly distanced themselves from Trump. Laura Morgan Roberts and Robin Ely of the Harvard Business School explain why. Of the white women who voted for Trump, 62 percent have no college degree. Trump’s campaign successfully tapped into their fears of immigration and frustrations about diminishing labour market opportunities for their husbands and sons. Yet, also women with college degrees voted for Trump, no less than 45 per cent. Roberts and Ely’s explanation is twofold. 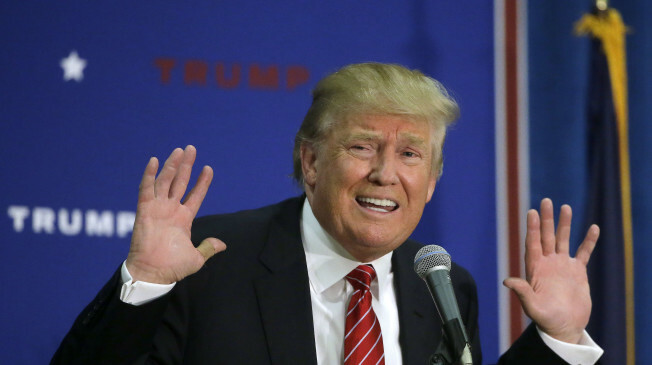 First, Trump’s fiscal policy proposals may have attracted them. The second factor relates to a pervasive gender dynamic. Men and women are socialized to associate leadership with a certain type of masculinity. Trump embodies exactly that type of leadership. What this all shows, is that women are diverse. Moreover, women vote for parties and for the ideas of these parties and not on a women candidate per se. The US election results show that intersectionality, even in its most basic form, is an indispensable tool for any political scientist to make sense of the current shift in power. A few years back Wendy Smooth wrote that intersectional research will be messy, but worth it. This is exactly the time to revisit traditional categories, to get out of the office, experiment and talk to real people. In the Politics special section, “Intersectionality and Political Science Research“, the authors lead the way to do this in the field of public policy, social movements, political theory and representation. Together, the contributions demonstrate what intersectionality has to offer to the different subdisciplines of political science. By directing the attention to the analysis of multiple inequalities, intersectionality sheds new light on the experiences of (multiple) disadvantaged groups and offers a better understanding of the ways power relations play out in politics and policy. Lenita Freidenvall’s analysis of candidate selection in Sweden, for instance, illustrates how an intersectional study of between- and within-group differences generates cumulative insights into inclusion and exclusion in the electoral process. Marie Laperrière and Eléonore Lépinard’s study of social movements in Canada highlights how intersectionality offers new perspectives on collective identity building, interest aggregation and conflict management by social movements. Additionally, it offers tools to uncover hidden biases and to reassess normative standards in political science research. Eline Severs, Karen Celis and Silvia Erzeel use an intersectional lens to reveal the dynamic, productive and relational aspects of power in political representation. Finally, Emanuela Lombardo and Lise Rolandsen Agustin find in their study of gender-based violence policies in the European Union that an intersectional approach improves assessments of the quality of policymaking by rethinking the meaning of inclusiveness and representativeness. 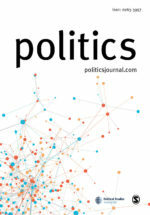 The November 2016 issue of Politics features three special sections: Intersectionality and Political Science Research, Resurrecting IR Theory and Teaching Africa and International Studies. 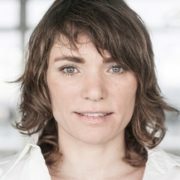 Liza Mügge is Associate Professor at the Political Science Department and Director of the Amsterdam Research Center for Gender and Sexuality (ARC-GS) at the University of Amsterdam. This academic year she is fellow with the Netherlands Institute for Advanced Study in the Humanities and Social Sciences (NIAS). Silvia Erzeel is Assistant Professor and Postdoctoral Researcher at the Political Science Department of the Vrije Universiteit Brussel.